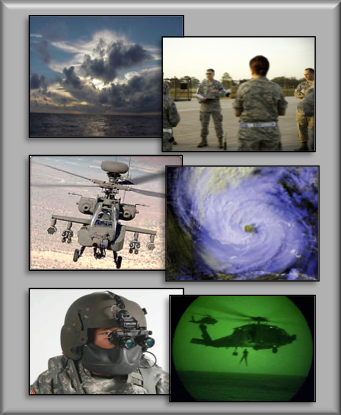 Trident provides a complete portfolio of DoD meteorological support. We have directly provided operational weather support to the Air Force, Army and Navy which includes meteorological support for Airborne Jump operations, Flight weather briefings, hurricane support, weather watches and warnings, and both manual and automated observing support. We have provided classroom and OJT training for Air Force meteorological students.